Feeling tired? Want rejuvenation? Then a refreshing shower or a calming bath is right what you need. There is simply nothing like a rejuvenating and relaxing bath to soothe your aching sense, revitalize you with energy and to offer you some much needed time away from the hustle and bustle of modern life. And when it comes to the best spaces to rejuvenate and feeling peaceful, there’s nothing better than a Japanese-styled bathroom. Japanese bathrooms show that ‘less is more’. The beauty of a gorgeous Japanese bathroom lies not just in its sense of minimalism and simplicity, but its ergonomic design seems to incorporate tranquil natural elements that help wash away all your woes gently and effectively. 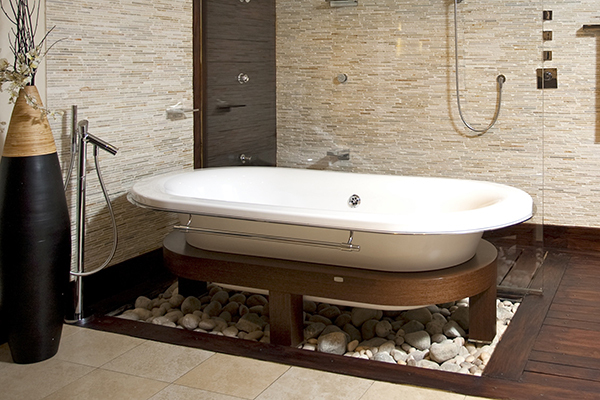 Choose a calming color palette – something earthy or sandy, something to make the bathroom cozy and inviting. You can also turn to darker shades but mix them with warm and light woods, natural stone and other textural materials to achieve a naturally luxurious look. Such palettes make the space very soothing and very peaceful, so you’ll feel amazing in this space. 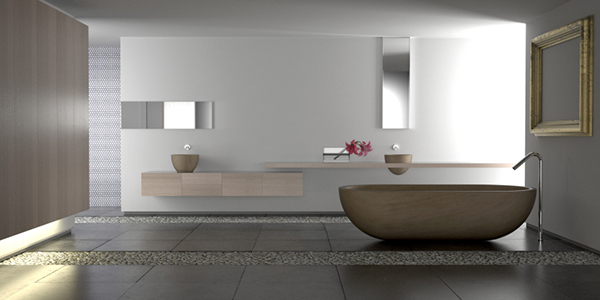 A modern Japanese bathroom design has a lot to do with minimalism and the phrase “Less is more”. 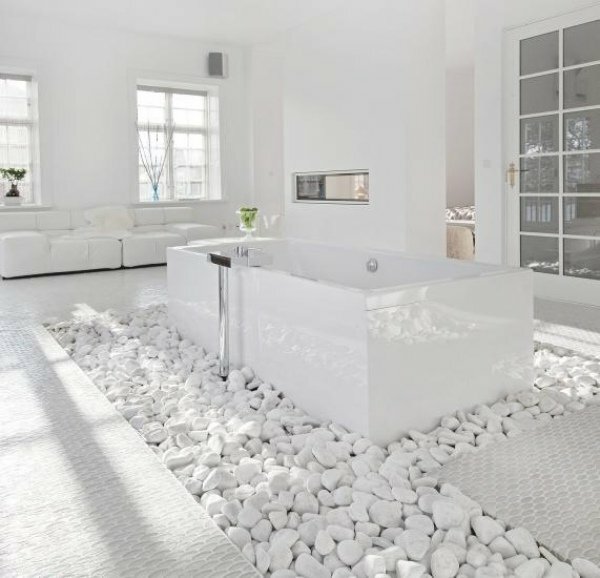 The Japanese style bathroom design ideas will show you how to apply the minimalist style and create a balanced and harmonious space in your home. Bathroom furniture can be limited to a free-standing bathtub and a sink with clean lines – and this is all you need in order to feel comfortable. A simple cabinet may very well add functionality and comfort to the interior. 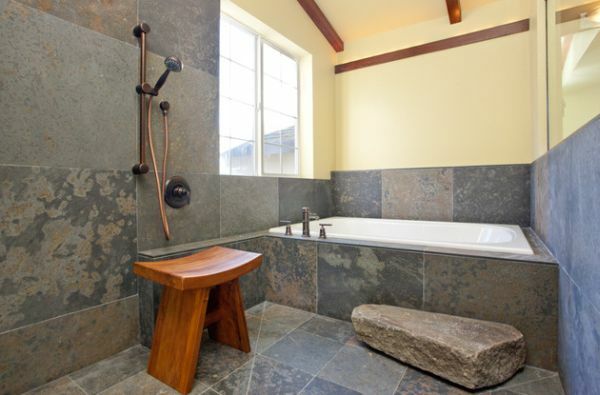 Choose a calming color palette – something earthy or sandy, something to make the bathroom cozy and inviting. Separate the bathroom into different zones. 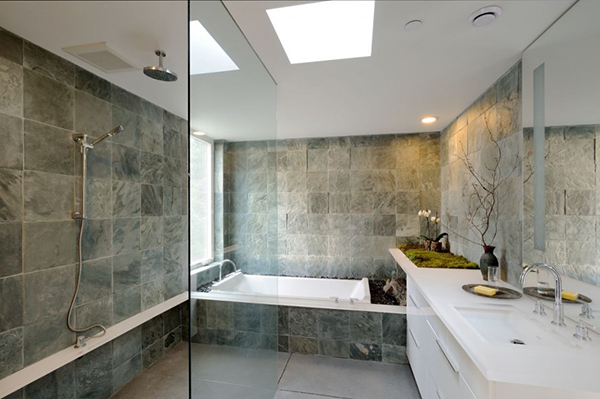 The shower will look very stylish if it is separated by a glass wall. 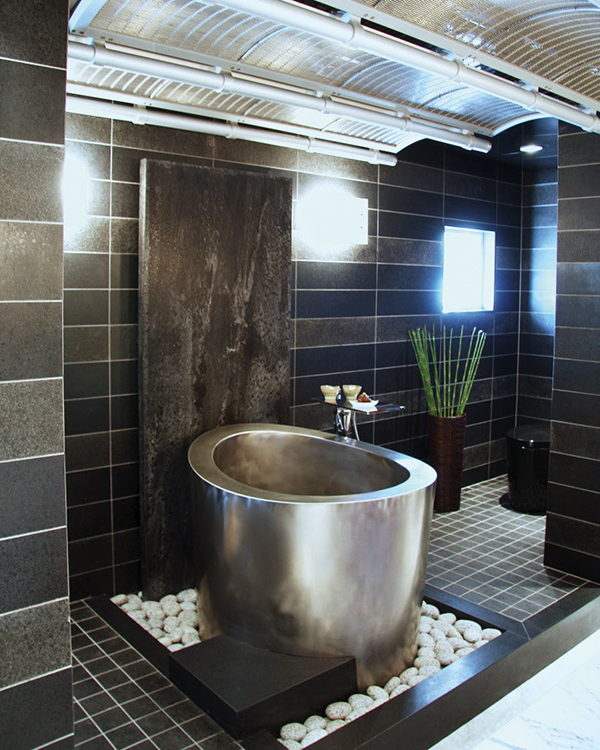 Of course you must not forget the tiles – they have an important role in the bathroom. 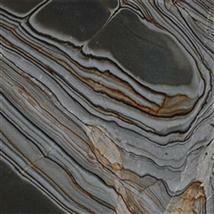 Stone tiles or marble tiles are a good choice for the walls and the flooring. Rustic wooden furniture such as small chairs and benches refresh the interior and bring Nature in the bathroom. Add some flowers or potted plants as they tremendously add to the soothing atmosphere. And of course, some aroma candles with tender fragrances will instantly give you the feeling you are into a spa-resort.